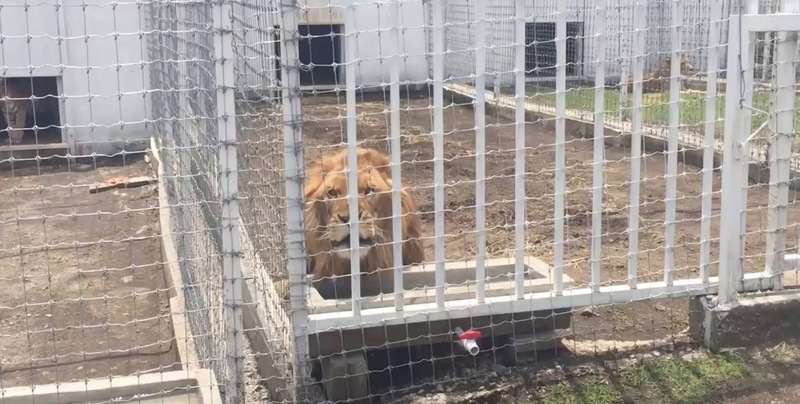 Reporters often ask, “Who keeps big cats as pets?” and their question is usually a request for contact information so that they can interview the people and get photos of them with their hands in the cages, or worse yet, rolling about on the ground with lions, tigers and other creatures designed to hunt and kill animals far more powerful than humans. It gets attention to publish such photos and that sells papers and ad space, but it also helps perpetuate the false notion that man can control such magnificent beasts. It is a romantic notion that attracts even the most intellectual in our society when we see such images splashed across the page. As is often the case, the media is looking for eye candy and bizarre tales to titillate the public because the public is often deemed too dull to really understand matters of substance. It is a self perpetuating prophecy then that reporting entertainment and calling it news creates a society that is apathetic toward real news because it isn’t considered main stream, and thus is often labeled as being the work of zealots with some imagined, anti cultural agenda. Regardless of the topic, there will always be exceptions to the rules, but in the case of people who possess wild animals those exceptions are so rare that they even further emphasize the commonality of the rest. The traits are so apparent in the manner of the person and the nature of their handiwork, whether it be a web site, a blog or the way that they exploit the wildlife in their possession that even the most gullible can see through the transparent veneer. What is almost universally shared by those who keep wild animals as pets, or props and even most of those who operate private zoos and sanctuaries is that they are uneducated, poor, hot tempered, attention seekers. With a world of information at our fingertips, ignorance still passes from generation to generation because in some cases there is an expectation of the child that they can never do better than their parents. A child raised in an environment of domestic violence and expected entitlement without work is likely to grow up into an adult with the same attitudes and behavior. 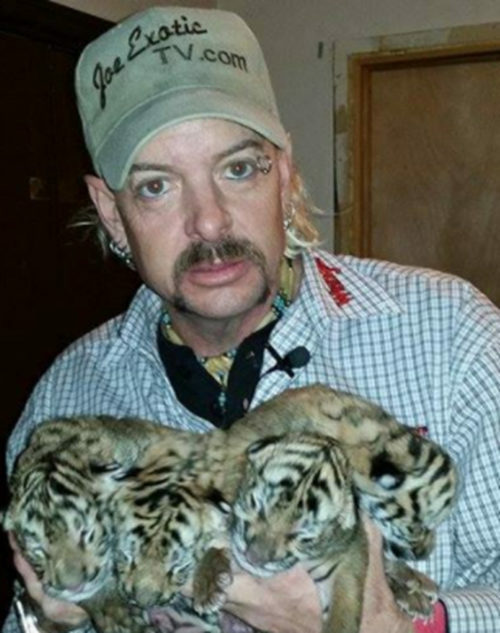 Thus it comes as no surprise that generation after generation of “tiger tamers” continue to try and support themselves from their trade even long after the public has decided that these are unacceptable ways to treat any animal. Considering these personal traits it also makes clear the necessity of having something that makes them feel good about themselves. In the case of those who make pets of wild animals, there is a universal need on their part to portray themselves as having a bond with the wild that other “mere mortals” cannot achieve. They will always tell you that they have a special gift or training that sets them apart, so that THEY can pet the tiger, but YOU cannot. They call themselves “Educators” and drag their wild animals around from flea market to fair ground, espousing the reasons that OTHER people (the mere mortals) should not attempt to have these as pets, because only THEY are special enough to have such a pet. Roy Horn would surely have uttered the same sentiments just minutes before his tiger, Montecore, nearly killed him on stage in Las Vegas. If you meet an exotic pet owner without a boa around their neck, or a tiger on a chain, within two minutes they have pulled out a dog-eared photo album of all of their pictures of them restraining animals that would never allow a human near them if they had the choice. In their eyes it is an immediate way to even the playing field and let others know that they are equals, if not superior. The overwhelming need to do so is a manifestation of the great lack of self esteem they feel but dare not admit, even to themselves. The mood elevating drugs (legal and illegal) and the alcohol are the only ways they can deaden themselves to the pain that cannot be remedied no matter how much they talk about their wild animal connection. Abusing their animals and their families cannot give them a lasting sense of power. That is why they are often unmarried and estranged from their families. Their families can break free from them, but the animals are kept chained and caged, the way they might well have kept the people in their lives were it not an offense that could land them in jail. Men who could not attract a woman in any other way will often find that women will do anything to please including cleaning his cages, his house and his underwear and giving him the affection that no woman of any self confidence would. On the flip side of this gender role is the woman who relies on a back yard full of tigers to attract the attention of young men who come seeking a way to prove their manhood by subduing a wild animal that would kill him in an instant were the two to meet in a natural situation. It is the same unquenchable desire to feel empowered without paying the price of self introspection and change and could be likened to the gambler’s quest for easy money without work. By the early 1990’s science was beginning to discover the extent to which animals exhibited intelligence and emotion. Anyone who has ever had a pet cat or dog could tell you that they are intelligent and that they feel loneliness, anger, resentment, embarrassment, joy and a host of emotions, but it took science hundreds of years to catch up. Keeping wild animals captive began to be considered cruel and self serving as people became aware of the fact that the tiger in the cage could experience the pain of being held against his will. It became fashionable then for exotic pet owners to call themselves “educators” and some even manage to give an educational spiel but it doesn’t matter how good the message may be; if you are standing there with a cougar on a leash, no one is hearing the message. They are just thinking how cool it would be if they could have a cougar on a leash. The litmus test is the fact that these people were not doing conservation education before they needed that label to justify their behavior and the minute they can’t use the animal as a prop they wouldn’t choose to be in the education business. The roadside zoo operators and pseudo sanctuarians are, in many cases, just a more organized version of the exotic pet owner and have found ways to get the public to support their delusions of grandeur. They portray themselves as rescuers and martyrs for their cause. When they are poor and filthy and uneducated they can tell themselves and others that it is because they are so altruistic that all of their time and energy is being sacrificed for the good of the animals they have saved. They quickly learn that high profile rescues and having cute babies around bring in donations. They claim to breed the animals to save them from extinction, when none of the animals in these collections are really involved in any conservation breeding programs. They claim to be educating the public to save habitat and the planet by taking their cats out to parking lots in circus wagons and setting up a donation jar. Some do a better job of fooling the public than others and the media often plays into their hands, but the only real purpose they serve is their own self aggrandizement and a way to pay their bills without having to get a real job. This becomes abundantly clear when they have rescued dozens, or hundreds of animals and found that it is a reverse pyramid scheme that is ultimately doomed to collapse. While babies and new rescues generate money, they also add to the mouths that ultimately need to be fed. In some sanctuaries there is a practice of rescuing animals, for whom they have no space, and them forcing these animals to live in overcrowded groups. This is especially heinous in the case of big cats who are solitary by nature and hard wired to kill each other if they come in contact. That fact plays into the hands of these most abusive personalities. In some pseudo sanctuaries certain animals, deemed “too dangerous” are killed for no apparent reason than to make room for more rescues. These operations invariably implode. When they do, the owners move away, abandon the animals, and tell themselves and the world that they have done their part and must retire because it has taken all they had, which was nothing to begin with. They will dramatically sweep a hand to their brow and announce that they are dying and that it is time someone else stepped up and took over. When they walk away from all of the animals that they so professed to love, they do so with no feelings of remorse because they are more affected by their sense of entitlement than to anything that resembles responsibility. They move to a new place, change their name and do it all over again. The exotic animal “rescuers” are often the most vocal in opposition to ending the exotic pet trade. They rant incessantly about how greater restrictions on wildlife trafficking will mean that they have to euthanize all of their animals when that has never been true. Where laws have passed in the US banning the trade in wild animals there have always been grandfather clauses that allow the private owners to keep their animals until they die and there have always been exceptions made to organizations, such as accredited zoos and sanctuaries, but the ones screaming the loudest have no interest in meeting a higher standard. They use the opportunity as a platform for disseminating false information and blaming people who truly care about animals for all of their woes. Even those “sanctuarians” who do not publicly speak out against more protective laws do virtually nothing to assist in their passage. Some may pay lip service to the activity but it doesn’t take long to figure out that they know nothing of the pending legislation in their state nor at a federal level. They love to cite the IRS as their reason to not get involved, implying or stating that charities cannot participate in any way, but that isn’t true. They frequently excuse their behavior by saying that they “don’t like politics” or will say they are too busy with their mission to get involved. That makes as much sense as feverishly bailing out an overflowing bathtub and saying you are too busy or too averse to knobs to turn off the water. The fact of the matter is that they define themselves by being perceived as saviors and if there were no wild animals to save they would lose their only redeeming feature. Keeping wild animals, especially exotic cats, came into vogue in the sixties, largely due to television shows that portrayed a person as being special if they had such a pet or relationship. Television programming created the illusion of a world where people could live with lions, tigers, bears, dolphins and all manner of wild animals. Our society, long removed from any real experience with nature, longed to believe that it was not only possible, but that the animals preferred captivity to living free. Ask almost any woman who has a back yard full of lions what her first memory of that attraction was and she will often cite “Born Free” as being that “life changing moment.” They conveniently forget the fact that Elsa died very shortly after being abandoned by the people who raised her as a pet and then returned her to the wild with no pride and no hunting skills. Not to minimize its deleterious effects on the person practicing it, but consider how much attention has been focused on women who vomit after every meal to stay thin. Oddly, the initial instigator is one and the same in that television portrays the perfect women as being gaunt to the point of it being an unrealistic achievement barring bulimia or some latter stage disease. You can’t check out in a grocery store line without seeing headlines about celebrities weight struggles, and yet, to my knowledge, no one was ever so fat or so thin that an innocent bystander was killed or mauled by coming in close contact with people who are diagnosed as being obsessed with their appearance. Just since 1990 there have been more than 755 incidents involving captive big cats in the U.S. So why is it that you rarely hear more than a passing comment about the mental instability of most wild animal owners? It is that shared illusion that keeps the majority from wanting to wake from the dream. We hear about a man keeping a tiger and an alligator in his Harlem apartment and we say that he “just wasn’t thinking.” We hear of a woman with 50 tigers in her back yard and no way to feed them and say she “just wasn’t thinking.” We watch as the lifeless body of a tiger who was shot to death for escaping is hauled away and say the person responsible “just wasn’t thinking.” Cruelty is not the result of “just not thinking.” The fact of the matter is that WE just aren’t thinking, and we are choosing not to think about the plight of the animals because our own participation in their abuse is something we are unwilling to face or change. We are a generation who was raised with zoos and circuses and even our religions proclaimed man to be master of all beasts, with little or nothing said about the command to be good stewards. We want to believe that our goodness is so palpable that even the most ferocious of animals would give up their freedom just to live in our homes. Even those who do not currently live that way often will say, “if I won the lottery, I’d have a pet tiger” as if to say that money is all that keeps them from indulging such fantasy. When we see that cute baby animal being cuddled on some talk show we choose to NOT think about where the animal’s mother is, or how it came to be that he was taken from her to be used this way. When we pay to see a film about tiger brothers, even when we know that more than 30 tigers were used in the film, we choose to NOT think about where those animal will be a year from now. If we acknowledge great suffering and choose to look the other way, how can we reconcile our conscience? When the answers are so easy and cost us little more than a few letters and phone calls to our legislators, and yet we are unwilling to do even that small thing to alleviate the suffering of tens of thousands of wild animals who are languishing in cages, possessed by a class of people who would be criminals if they treated people the way they treat their “beloved pets” how can we feel good about ourselves? Sometimes the truth hurts, but no one suffers more than the exotic animals when the only thing they have; their desire to live free, is taken from them. The purpose here is not to insult or cast blame, but to demystify the nature of the typical exotic cat owner. I believe that we are all on a path to our higher self and that even the worst of the abusers will one day look inside and redirect their actions. Until that time comes the words of Martin Luther King, Jr. still ring true, “Legislation cannot change the heart, but it can restrain the heartless. “The Feline Conservation Federation (FCF) supports responsible ownership of all 38 currently recognized species of non-domestic feline” that means lions, tigers and all the rest. Does anybody have a picture(s) of a proper way to handle venomous snake with tongs? Longer tongs are better for my project, I need it for another YouTube Rexano’s ReptileHahaven Channel video. The proper way to use tongs or a hook or anything else to handle venomous snakes is to have someone who is absolutely experienced and knowledgeable using them! In other words, it isn’t the tool that matters, it’s who’s using it, and tongs aren’t always the most appropriate tool for a given situation anyway (in fact, I use a hook far more often than tongs). You don’t want to be like the guy who wanted to learn to play the violin, so he went to a concert in order to “see how it’s done.” When his friend asked later if he had had any success in learning how to play, the man replied: “Next time I plan to sit a little closer.” You really can’t learn to handle venomous snakes (or play the violin) simply by seeing someone else do it. Well, I disagree that tool doesn’t matter, but that is a different topic. This is what I am doing, very short instructional video for YouTube about/for folks like me who live with wild rattlers and why sometimes we shouldn’t kill them but try to relocate them instead with tongs. So I want the ABCs for idiots like me, how to get the snake and move it away from your house , safely, instead of killing it. I have 2 tong pics so far, would be nice to have more, kind of showing NON expert home owners living in AZ or NV how to properly catch the snake and move it instead of waiting 3 hours for animal control to show up since we live far away and often there is no time to wait. Some of you might hate me on this forum, but over the years I had close calls with wild rattlers being in strike position 2 feet from my exotic pets and I had to kill them to save my stupid pets who would have gotten bitten teasing the poor snake, in these instances I had to kill the snake because I had no tong or ways to move it away and it was matter of seconds I had to act. Since then I bought long tong. I did few second of footage here in NV few days ago, Monday after Easter, with wild panamint that startled me when I was cleaning cages as I didn’t realize they were our of hibernation already,so I run in the house as snake was not threatening my pets,so I had time, so I have my own wild footage video I took and pic of this snake in tong, we relocated it,I just want more pics of the proper tong use, that is all, I am not asking for pics because I want to teach idiots how to play with snakes, I want it to save few wild snakes and pets lives and my own too. The video will get done, I just wanted input/help from here, that is all. Fact is I live with Mohave and panamint rattlers and there are others like me, since I am not moving from NV, I have to learn to deal with it. Think of my situation as doing CPR or closing/squeezing the ripped vein until paramedics arrive, move the snake away from my pets with tongs, as i am NOT using my bare hands. Just leave it be…I’m sure it’s not going to ‘attack’ you or your exotics. It may defend itself…rightfully so. I would spend time snake proofing your exotic enclosures and leave the snakes to their own devices and lives. This is part of responsible ownership of all pets. Either teach your animals to leave the snakes alone..which is easily done. Or design enclosures that protect your pets from the native environment. I’m sure they have sunshades to protect them from the sun, protecting them from the native wildlife falls under the same responsible ownership tag. Some things don’t need to be taught on YouTube. This is one of them. If you really need to protect you or your pets from the monstrous Mojave or Speckled…Use a large push broom and sweep it 2 feet so you have more than the dramatically stated ‘seconds to act’ time frame…or just leave it alone…that would be nice. by tigers9 on March 29, 2008 Mail this to a friend! I am all ears how to snake proof my outdoor cat cages when I live in the middle of the NV desert 1 hour east of Death Valley. My 10 acres has hot wire at the bottom, but snakes can get under. And most of what is behind my fence is BLM land with rocky mountainous/canyon terrain and channels from flash floods many years ago. I am also all ears how to teach a big (or any ) cat not to play with moving objects. And yes, there were quite a few instances with my smaller cats where I found lower half of dry rattlesnake in the cage, I can only guess what happened with the rest of the snake’s body, so far cats are winning, but I don’t want to take any chances. Z, I am a bit concerned that you want to show folks how to use tongs to move nusiance rattlesnakes, and that most folks do not own tongs. Why not make a video of how easy it is to turn a plastic or metal garbidge can on its side, then use a broomb to push, coax the snake into the garbidge can, then to tilt the can back upright, then put the lid on it, and duct tape it shut. Then drag it into the shade, and call someone who will re-locate the snake from your property. Almost anyone can accomplish that. And it does not require the purchase of a $60.00 pair of tongs, that many folks will not be willing to do ??? ?